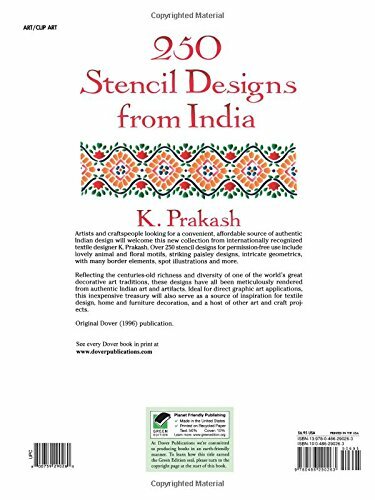 Artists and craftspeople looking for a convenient, affordable source of authentic Indian design will welcome this new collection from internationally recognized textile designer K. Prakash. Over 250 stencil designs for permission-free use include lovely animal and floral motifs, striking paisley designs, intricate geometrics, with many border elements, spot illustrations, and more. 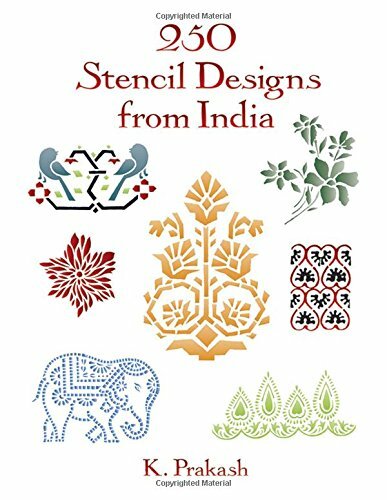 Reflecting the centuries-old richness and diversity of one of the world’s great decorative art traditions, these designs have all been meticulously rendered from authentic Indian art and artifacts. Ideal for direct graphic art applications, this inexpensive treasury will also serve as a source of inspiration for textile design, home and furniture decoration, and a host of other art and craft projects.